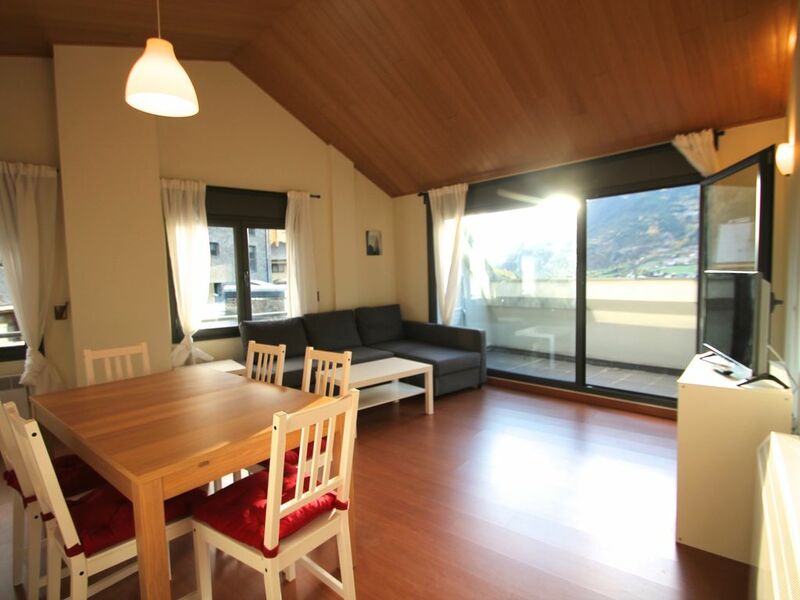 Apartment up to 6 people next to the Funicamp, cable car of Encamp, ideal for skiing in Grandvalira. Two bedrooms, with double bed and another with bunk bed, sofa bed in the living room. Equipped kitchen and a bathroom. Grandvalira is a station that encompasses the ski areas of two of the seven Andorran "parishes" (the equivalent of provinces). Pas de la Casa-Grau Roig and Soldeu-El Tarter. This union allowed the creation of the largest station in the Pyrenees and one of the largest in Europe, with 210 kilometers of tracks, a total of 128 tracks of all levels and a single pass for the enjoyment of this whole ski area. goed appartement. Rustig en relatief ruim. Keuken heeft beperkt servies, bestek etc.